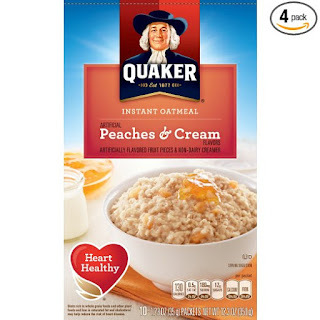 Amazon Prime Members make sure to grab this $3 Off Coupon on Select Quaker Instant Oatmeal (Pack of 4) ONLY $7.36. Save 15% when you receive 5 or more products in one month to one address with auto-deliveries. Currently, you'll save 5% on your Mar 26 auto-delivery. I LOVE Peaches and Cream....yum!